Let’s say you did a “man on the street” survey of Americans and asked them what religion they practiced. Off the top of my head I would guess that well over half would say “Christian.” That response might take a few different forms, as many would respond “Catholic,” or “Lutheran,” or name some other denomination. Taking their response on face value, you then ask them if they are a disciple. A what? You might follow up and ask them if they have had any training beyond the confirmation or first communion that so many kids go through. Chances are they will say they have not, unless they went to a religious school. The discipleship process is much like addiction recovery. You are never finished with it. 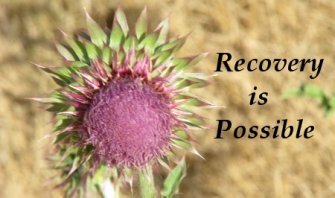 People who are in recovery understand that they must constantly strive to manage their addictive behavior and that there is no “cure” for their disease other than abstinence. For those people who say they are Christian, if they have not entered into and continued the discipleship process, they are not growing in their faith. It’s like children learning how to read in school. It’s a process. They learn the basics, and then they add to their knowledge. I share this with you because for so many people in recovery, even if they have some foundational religious training, they will resist any practical discussion on how to put anything religious into motion. Why? It isn’t real for them. The spirituality sessions we conduct at the treatment center focus on 12-Step, and Steps 2 and 3 invariably are problematic for some people. A “power greater than ourselves” in Step 2, or the blatant use of the “G” word in Step 3, are both stumbling blocks. Even if they have had some basic religious training, they have not explored the faith beyond confirmation class, nor are they equipped to take the practical teaching of the Bible and put it to use. While I do not use our group time as a religious teaching class, I do use Biblical writing, because it beautifully illustrates the human experience and gives a practical direction for people to follow. People in our group may have already had experience with 12-Step, but perhaps they have not experienced the results they were looking for. What is their understanding of a “power greater than ourselves” or their understanding of God? Treatment of addiction is not based on what the doctors and therapists “feel” or what they chose to use or discard based upon their own wants and desires. Scientific method teaches that you don’t manipulate outcomes based on your own personal agenda. Why should it not follow that the “religious” component of recovery be any different? In working through these two, critical steps, I challenge people to state what they believe and why they believe it. What is the data to support their belief? What is the evidence? If they are Jewish, what evidence can they provide? If they are Muslim, what does the Koran say about their personal experience? What do the various faith traditions teach? What does it mean to be a disciple? It means being a follower, a practitioner. It means going beyond that first, initial step. In my Christian tradition, being a disciple is working through the human condition and striving to grow. We are all addicts in one way or another, so discipleship and addiction recovery, for me, fit very well together. Good article and I agree with you.